With UK-based activities ranging from outdoor ventures, personal development days and technical training, right through too overseas youth expeditions in the most exciting and diverse places on Earth. Outlook Expeditions was established in 2001 with the vision of taking outdoor programmes to new levels of excitement and learning. All our programmes are centred around teaching the principles of 'The Big 5' - Leadership, Teamwork, Communication, Problem Solving, Planning and Organisational Skills, along with promoting global and environmental awareness. Our management team has over 50 years' collectie professional outdoor experience and all staff are dedicated to creating a package that is right for you. 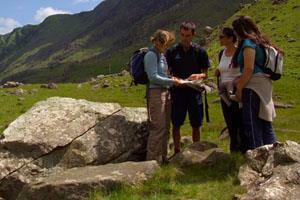 Life changing expeditions and adventure opportunities for schools and youth groups.